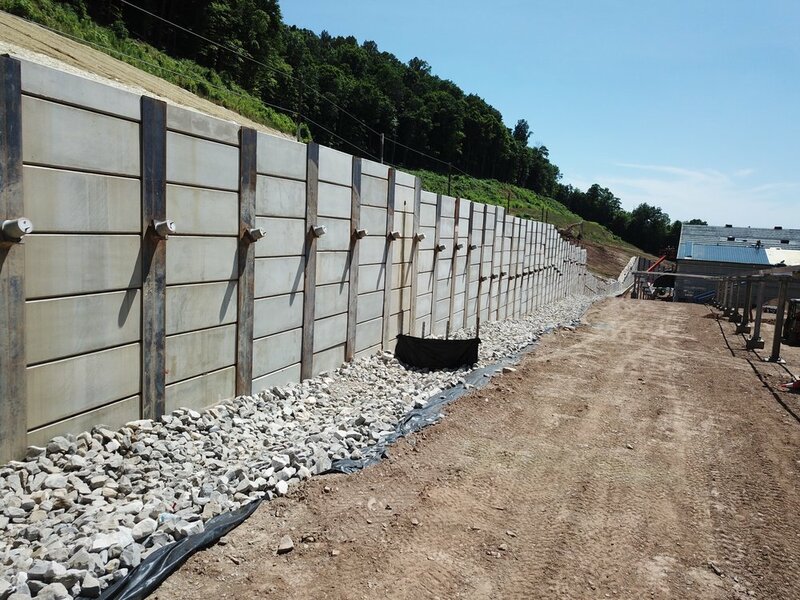 Tieback Anchored Retaining Walls are used in situations that require a “top-down” construction retaining wall to temporarily or permanently support excavations necessary to achieve final grading. Tiebacks are internal braces that are constructing by drilling into the excavation face and then grouting a horizontal post tension bar or strands of wire. Tieback anchors are drilled into the soil, with one end attached to the retaining wall structure and the other end attached to a structural reaction element. Due to the advancement in drilling techniques and equipment, tieback anchors can be drilled in many different subsurface soil and rock conditions.